Trikone is a registered 501(c)(3) non-profit organization for lesbian, gay, bisexual, and transgendered people of South Asian descent. 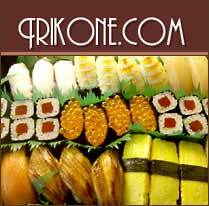 Founded in 1986 in the San Francisco Bay Area, Trikone is the oldest group of its kind in the world. Through social and political activities, Trikone offers a supportive, empowering, and non-judgmental environment, where queer South Asians can meet, make connections, and proudly promote awareness and acceptance of their sexuality in society. Trikone actively works against all forms of oppression based on race, gender, class, and other identities. Bring people of South Asian heritage together in a friendly, supportive, and non-judgmental environment. Promote awareness, visibility and acceptance of alternative sexuality in society. Trikone proudly affirms both its South Asian identity as well as its sexuality. Oppose discrimination based on race, gender, class, and other identities. If you are a parent of an LGBT or questioning individual, you can get more help with PFLAG (Parents, Families & Friends of Lesbians & Gays) at their website: www.pflag.org. In addition, there is a South Asian PFLAG group which you can subscribe to by going to groups.yahoo.com/group/sa-pflag/. To learn more, visit www.Trikone.com.